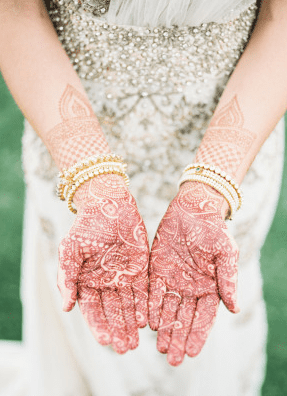 We’ve hosted our fair share of weddings over the years and have been fortunate enough to witness some really special wedding trends. 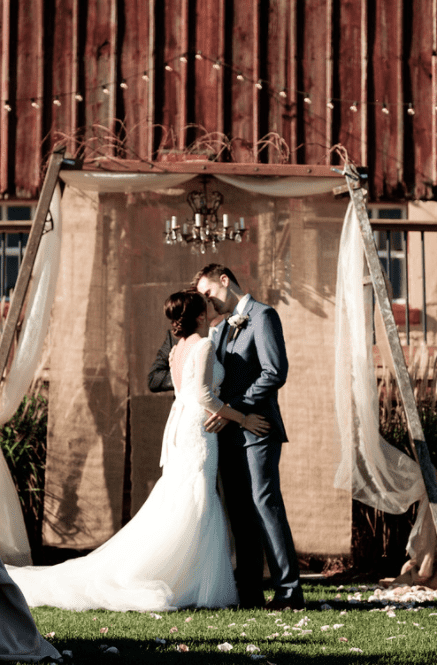 With so many things flowing in and out of style in the wedding industry, we just consider ourselves lucky to be flies on the (barn) wall, noticing them all. 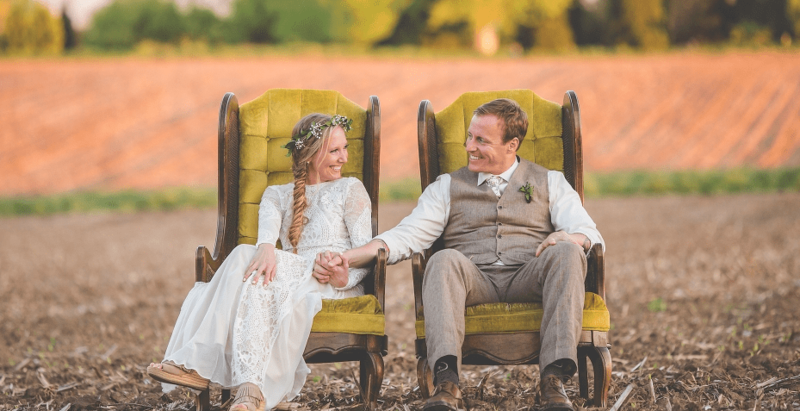 Vintage furniture rentals like these matching mustard upholstered chairs. Custom alter, like this gorgeous vintage chandelier paired with burlap and ivory chiffon. 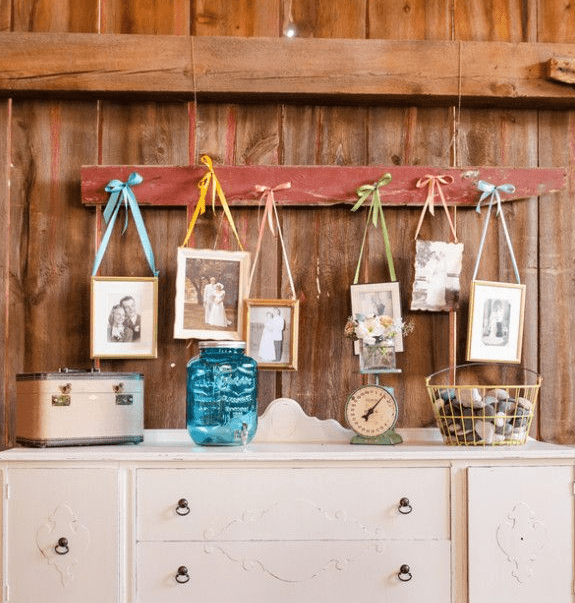 Incorporating loved ones who are no longer with us, like these vintage frames hung with whimsical ribbon. Cultural incorporation is always a win! 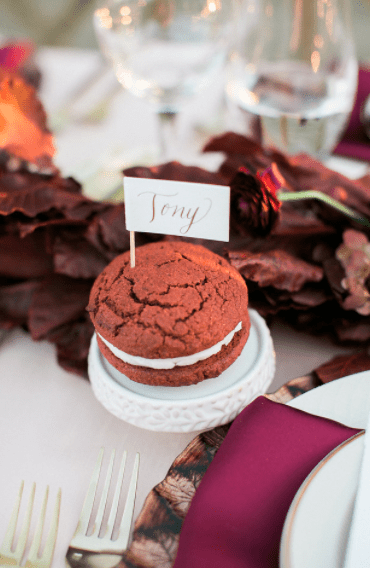 Dessert decor like these place card flags with hand written calligraphy. 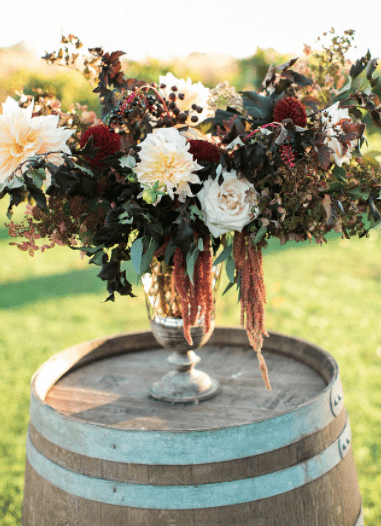 Florals are always a must, but even more so is one or two floral statement pieces like this stunning arrangement – beauty all on its own. 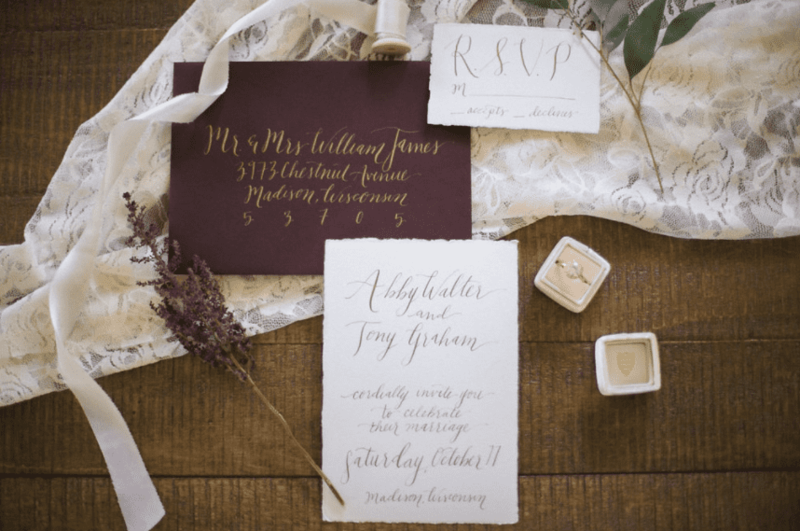 Okay, maybe we’re biased, but vineyard-inspired decor always makes for a gorgeous addition to our space. 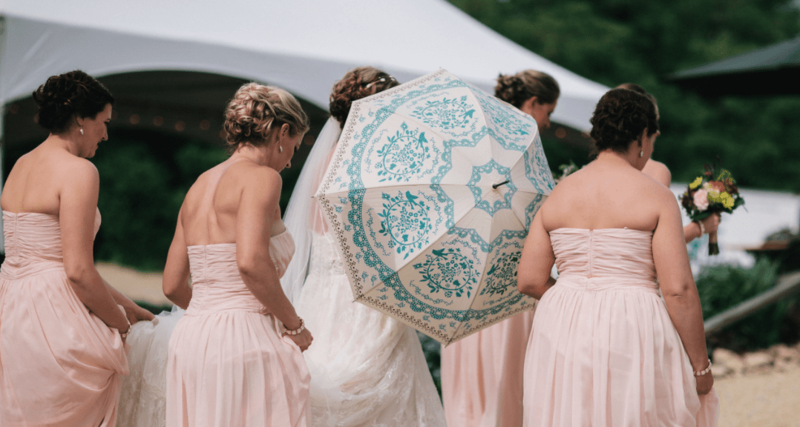 Unique pieces like this bride’s oriental umbrella make such lovely statements. 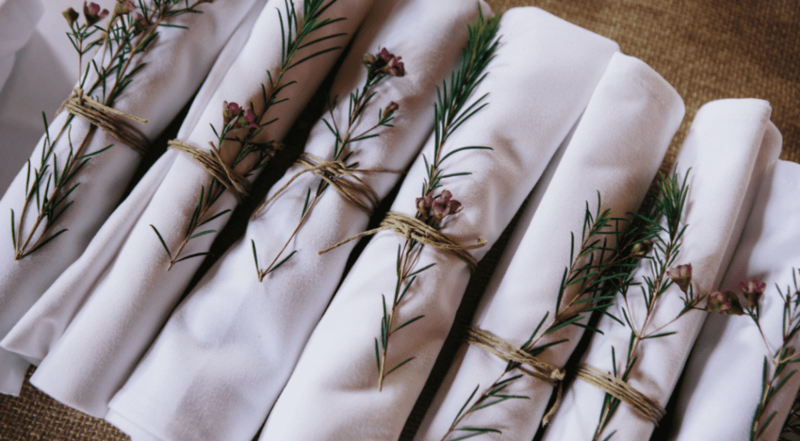 Fresh sprigs tucked in each place setting for a warm, welcoming seat. 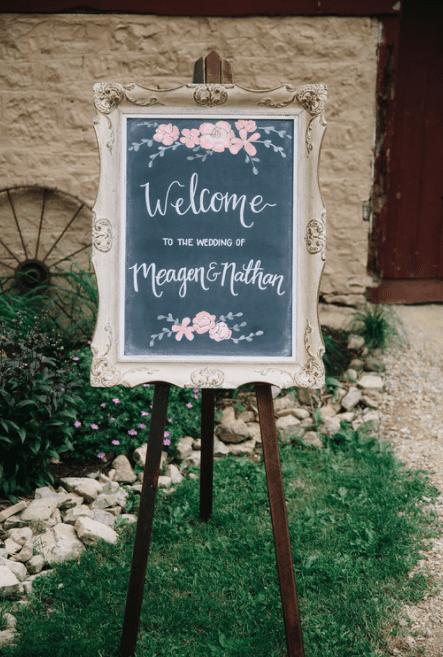 Vintage frames and chalkboards with handwritten, welcoming phrases like this inviting sign.